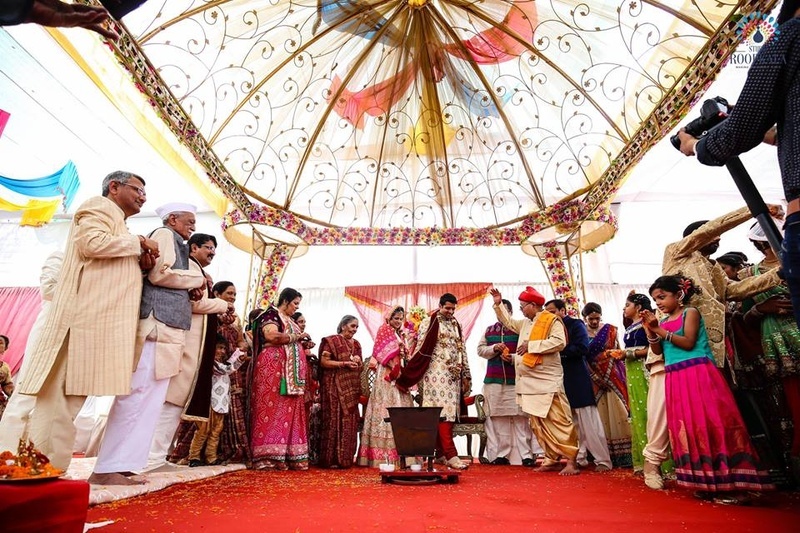 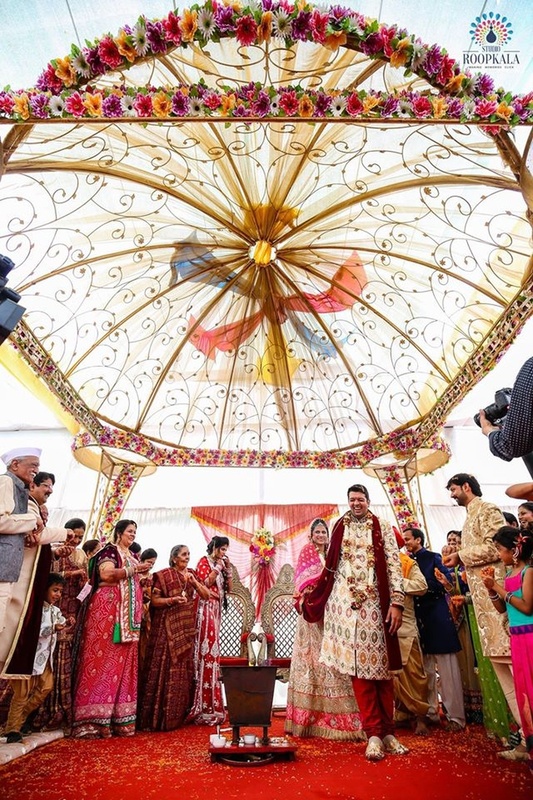 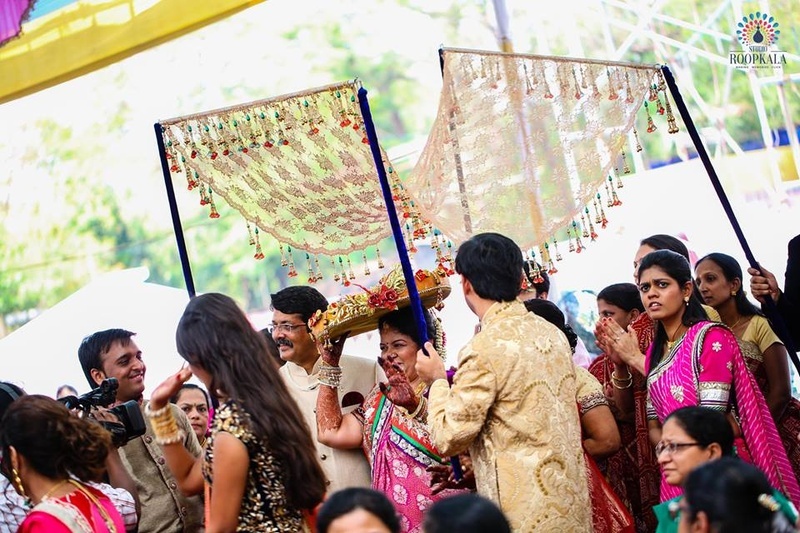 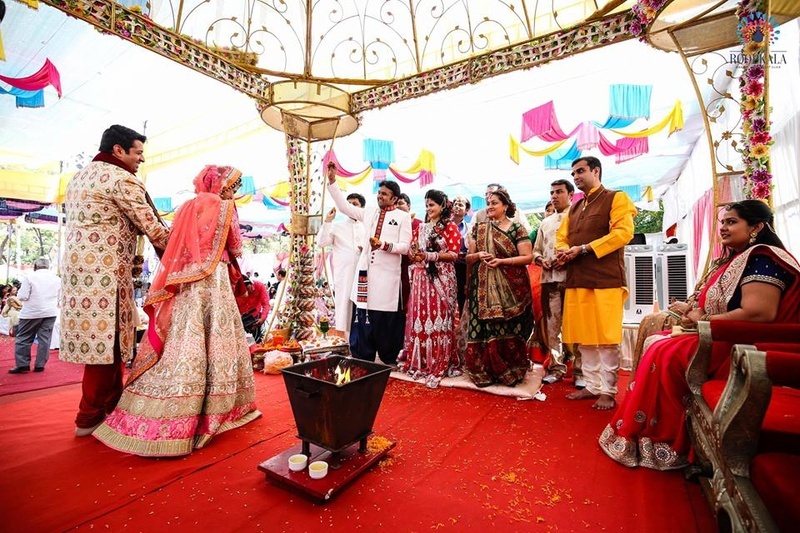 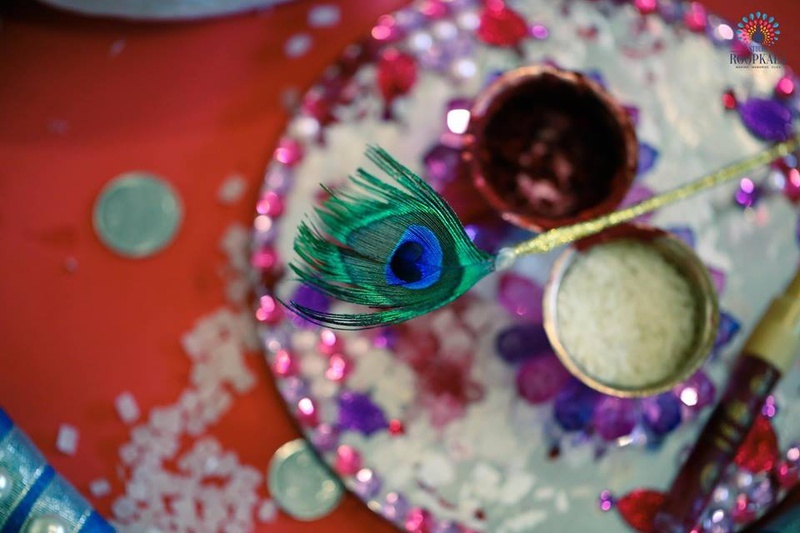 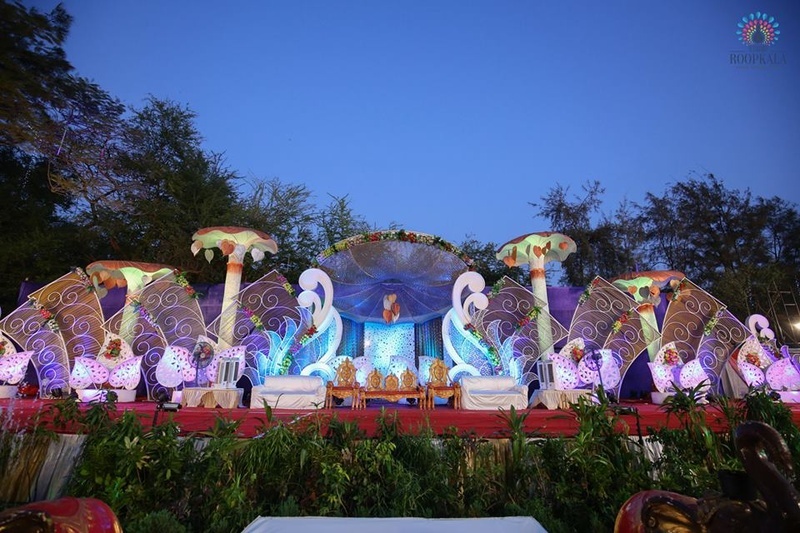 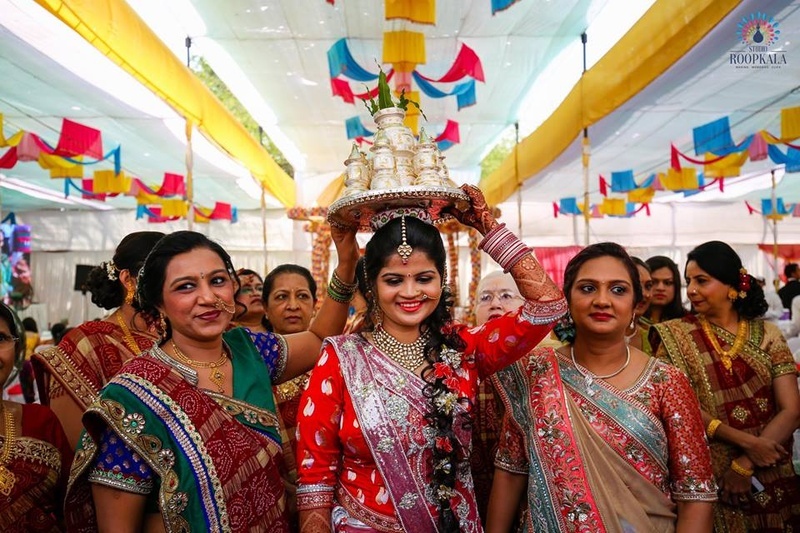 A wedding that was truly all things bright and beautiful - The lehenga, the jewellery, the decor and even the outdoor mandap left us completely speechless! 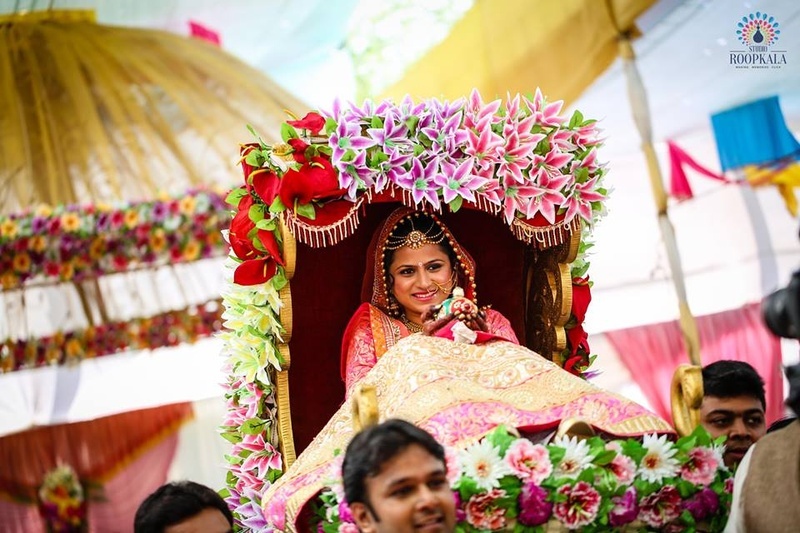 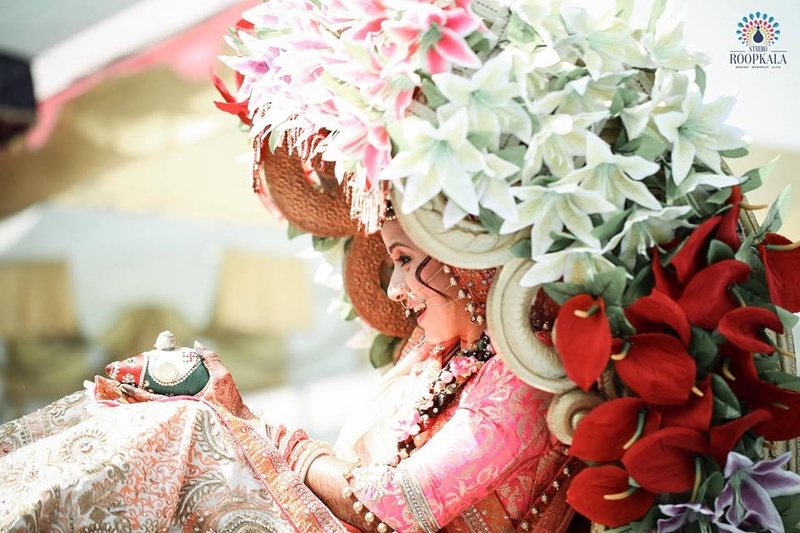 The bride entered the venue on a doli gorgeously decorated with faux Lillies, Daisies and Roses. 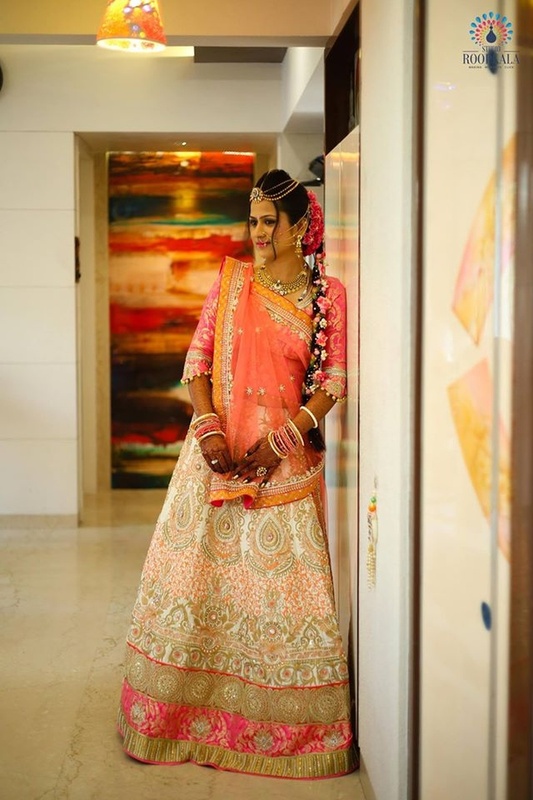 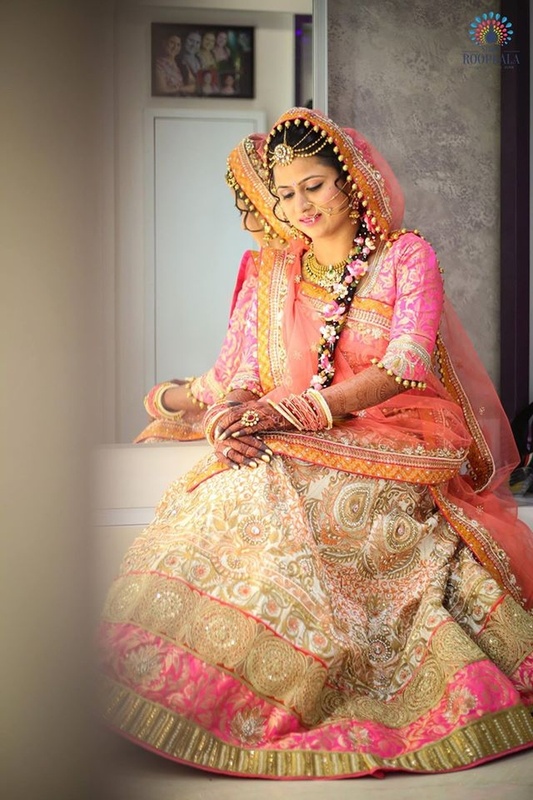 She donned an off-white and pink lehenga that was heavily embellished with intricate threadwork and beads. 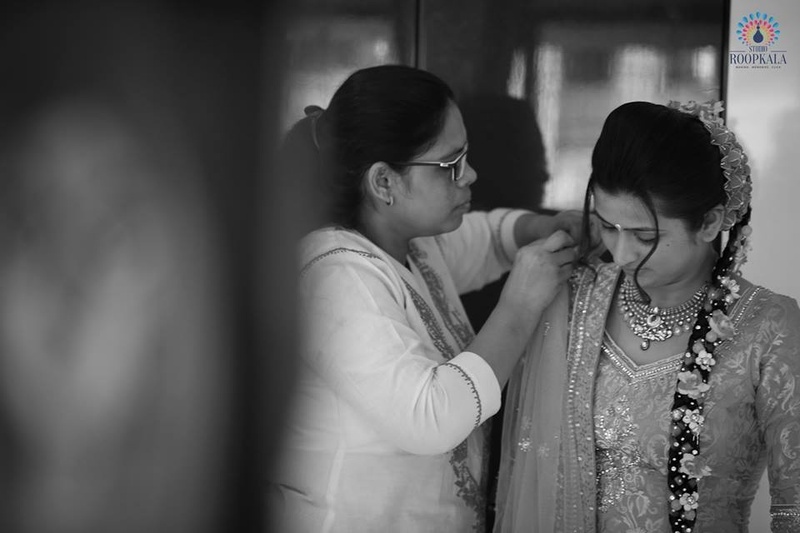 Her jewellery too, left us mesmerized! 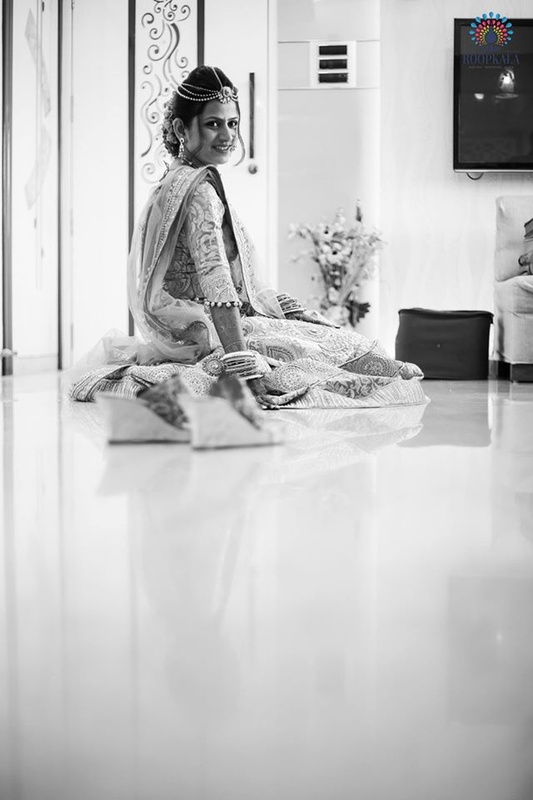 Even though she chose to keep her accessories minimal, the borla styled maangtikka and multi-strand maathapatti along with the matching necklace added just the right touch of elegance to her entire ensemble. 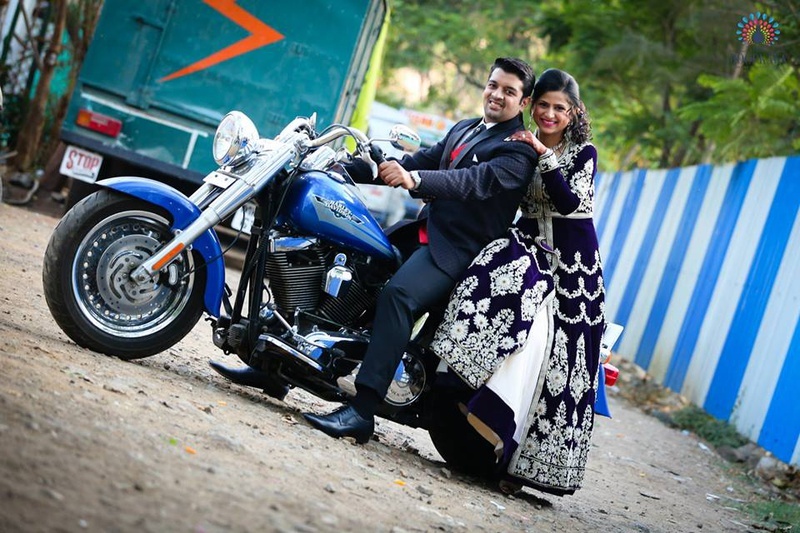 The handsome groom decided to make a statement with his outfit, too! 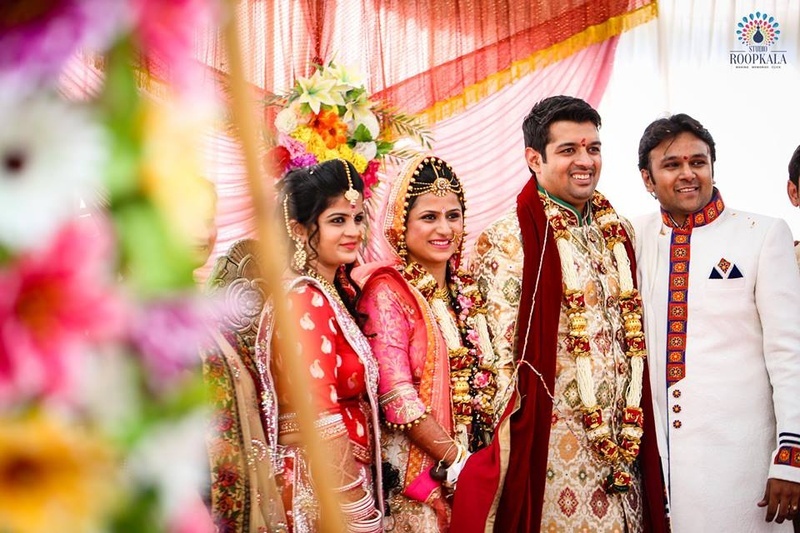 Wearing a never-seen-before bandhgala cream sherwani that had stunning accents of green, red and gold all over. 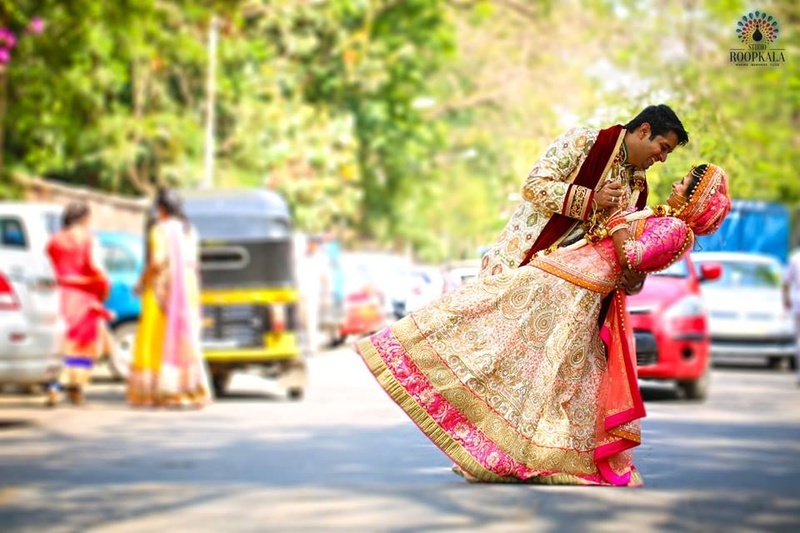 He paired it with a maroon churidar and dupatta. 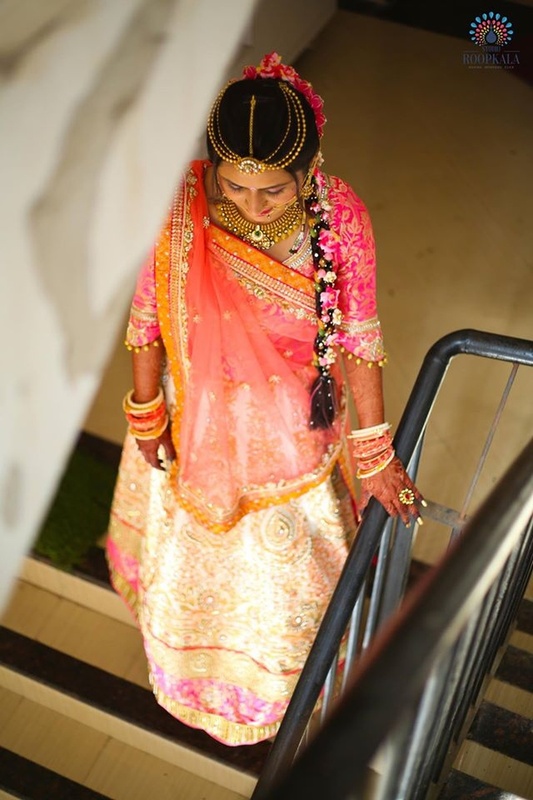 A little mis-matched with the brides outfit in terms of color, but it looked oh-so-stunningly picturesque! 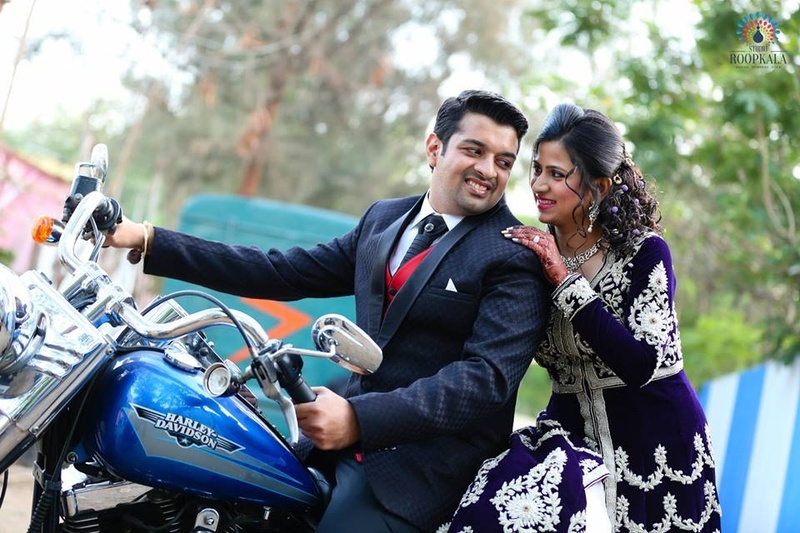 Once things were made official, this gorgeous couple decided to show the world their classy side in an outdoor wedding shoot followed by their grand wedding reception. 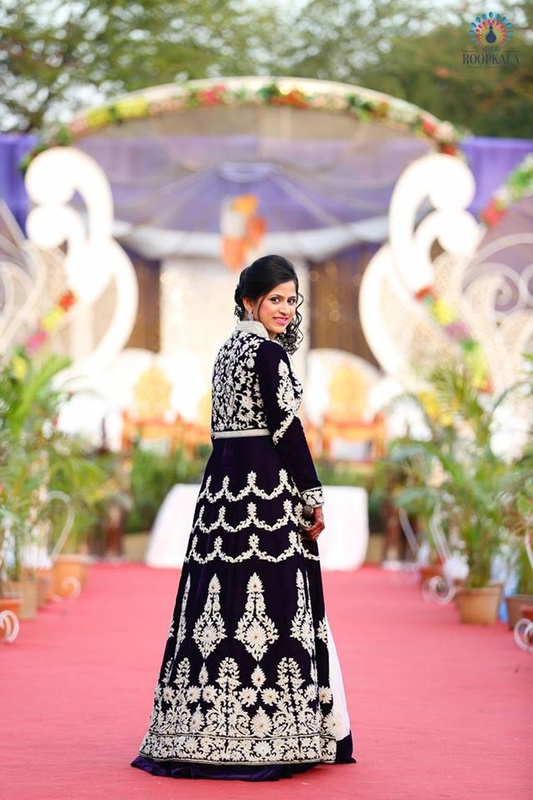 Tanvi wore a navy blue velvet anarkali that had silver embroidery all over, and styled it with a simple white net lehenga. 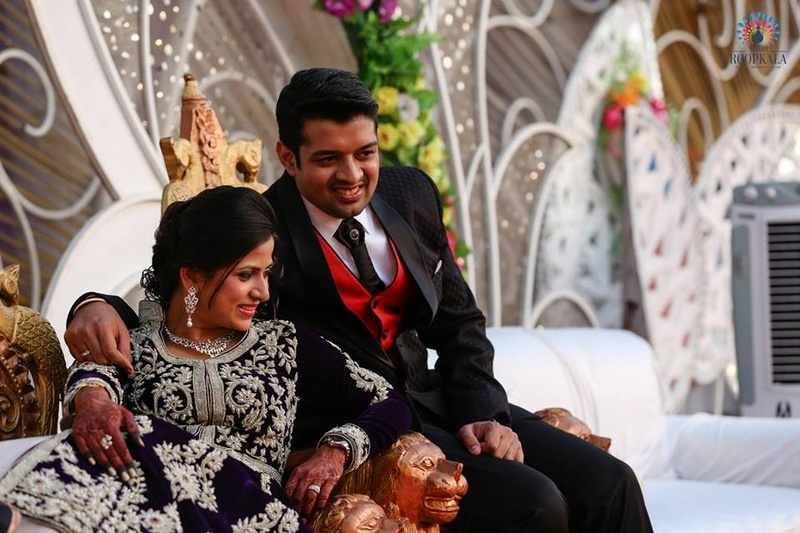 Nikunj on the other hand, look dapper in his three-piece suit that included a crimson red waistcoat – we love how this couple has experimented with color, style and tradition and blended it all into one throughout every wedding ceremony. 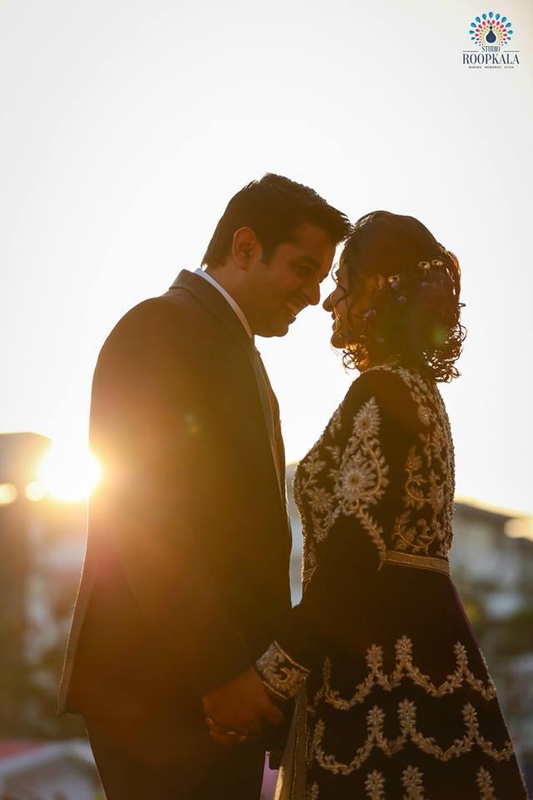 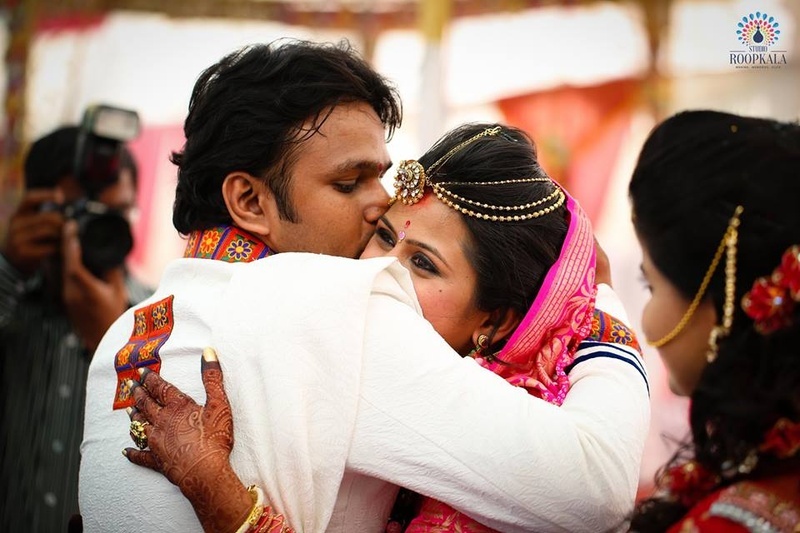 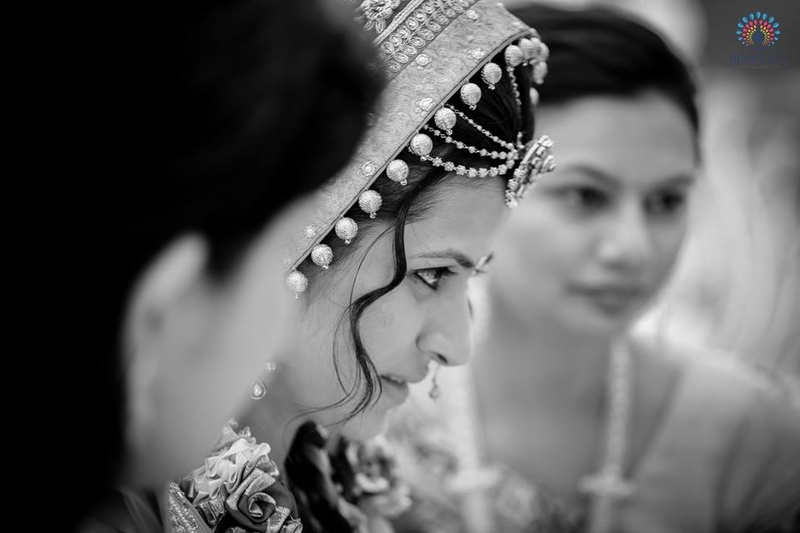 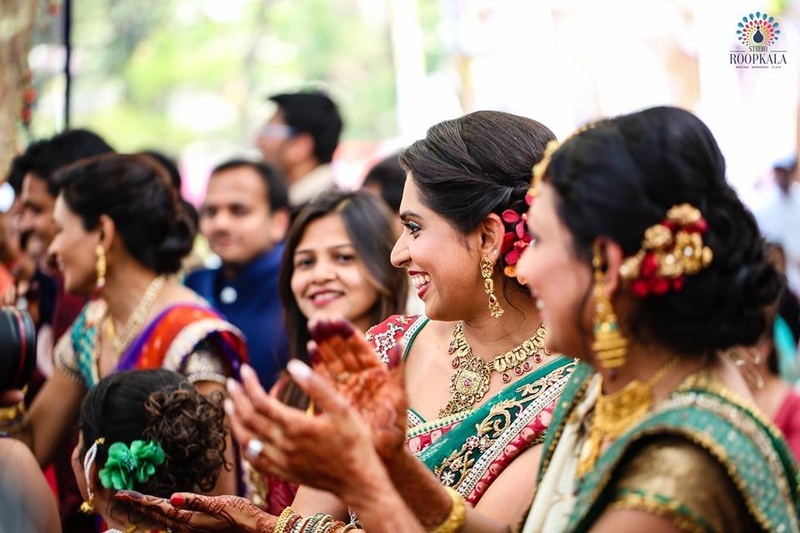 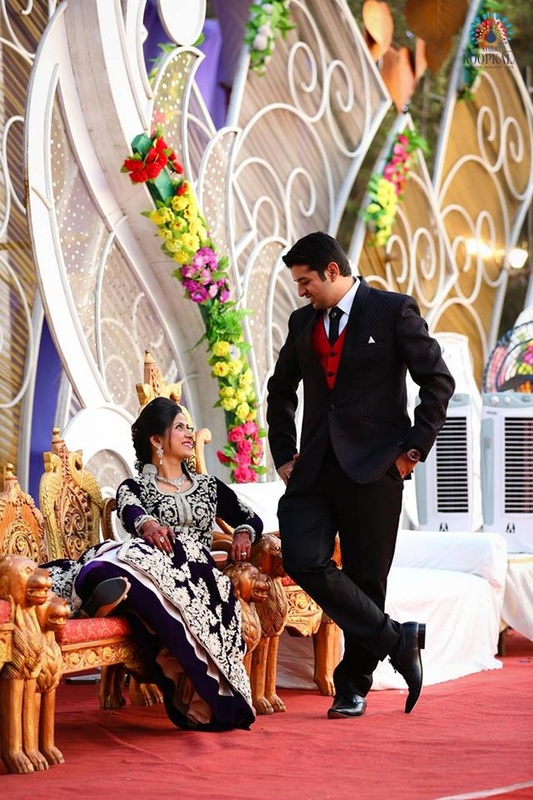 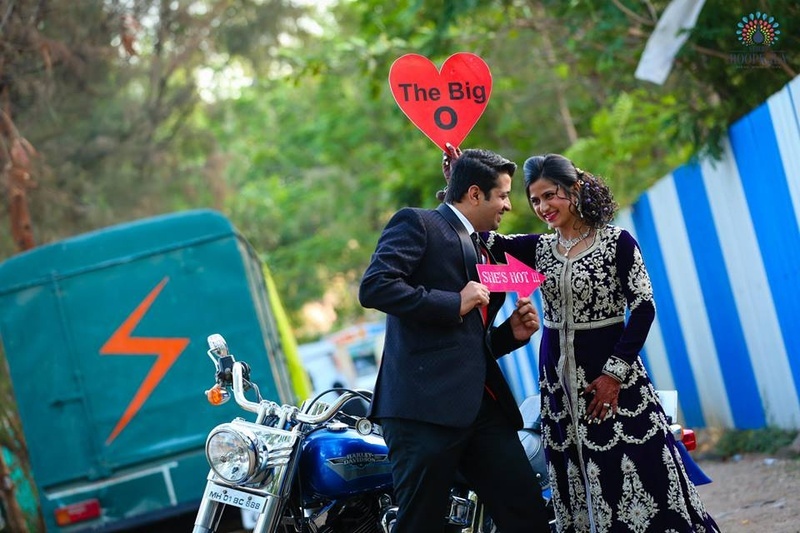 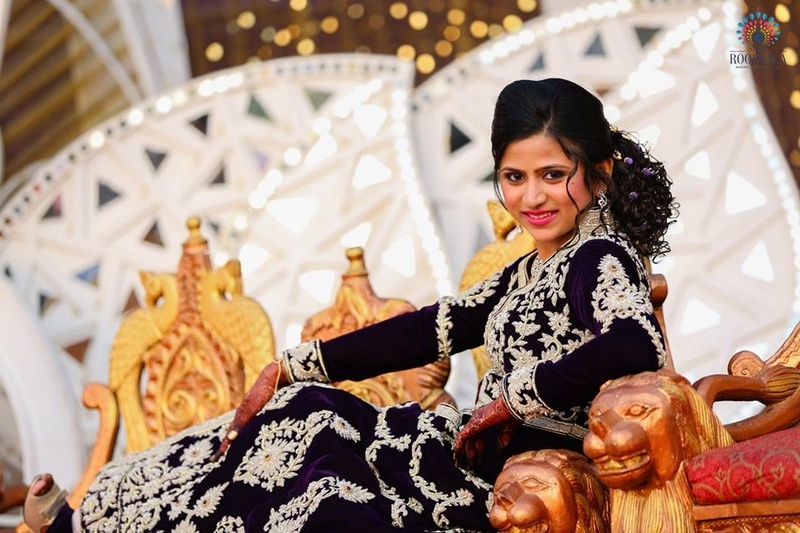 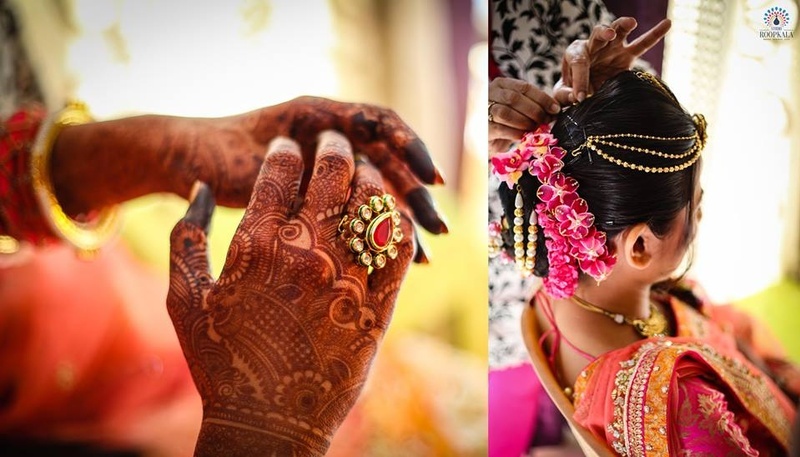 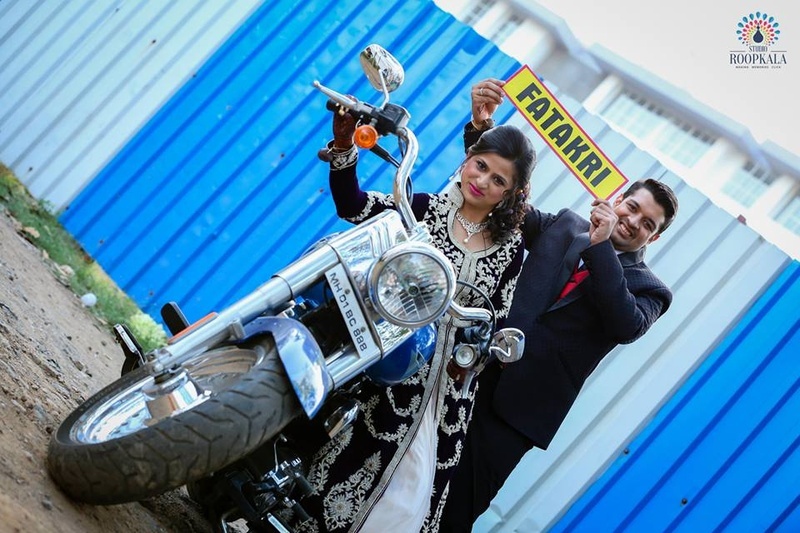 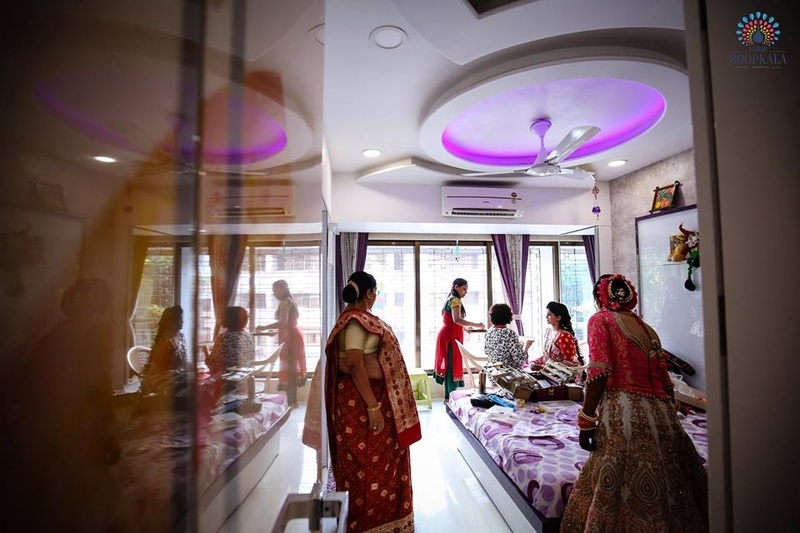 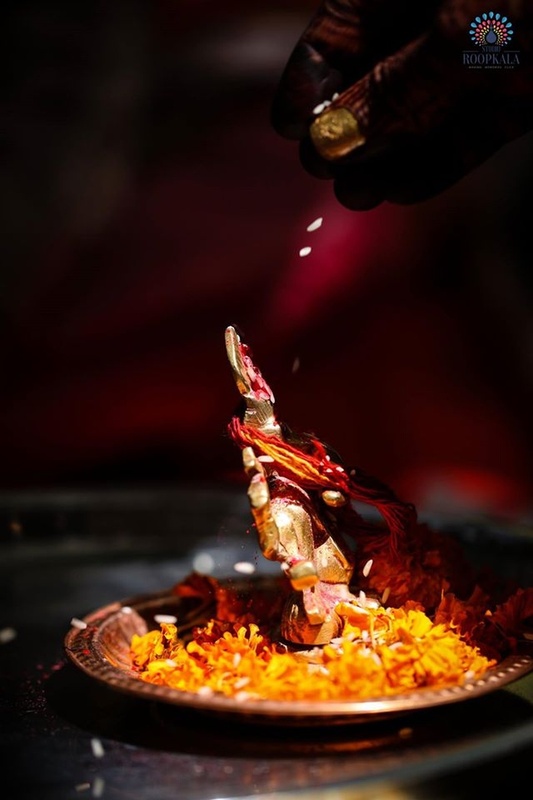 Studio Roopkala captured every precious moment from Tanvi and Nikunj’s just perfectly. 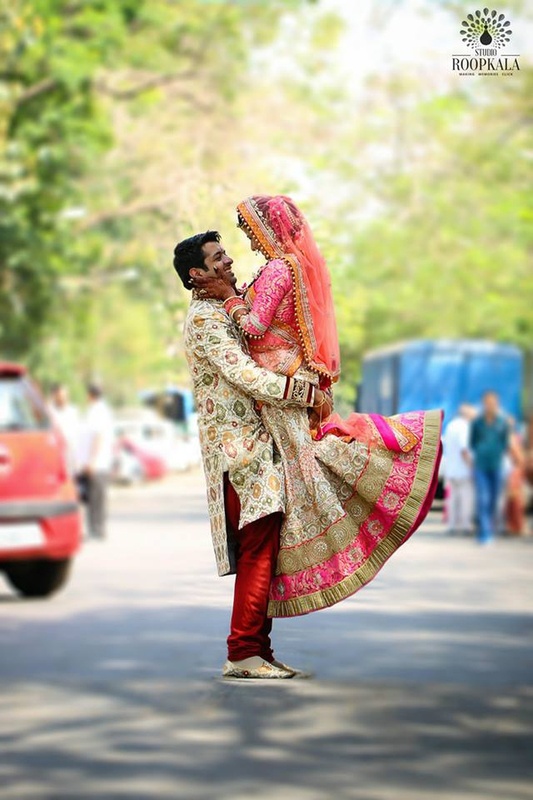 Let’s have a look at a few pictures right here! 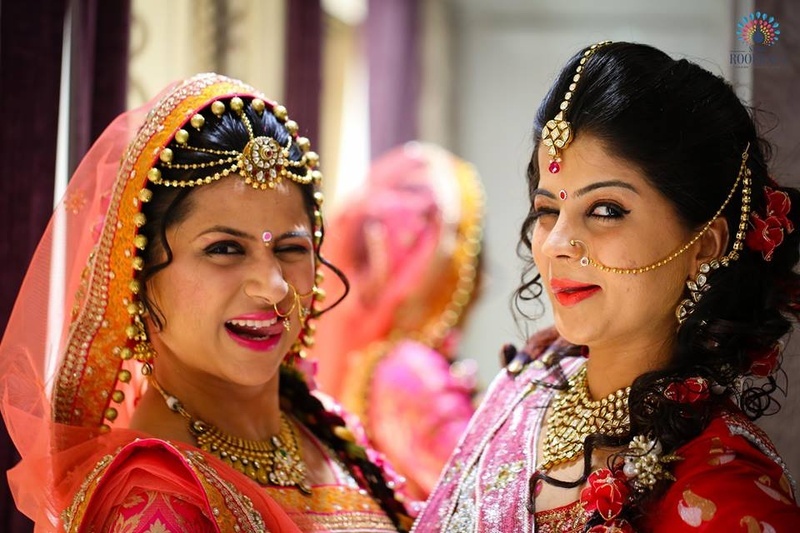 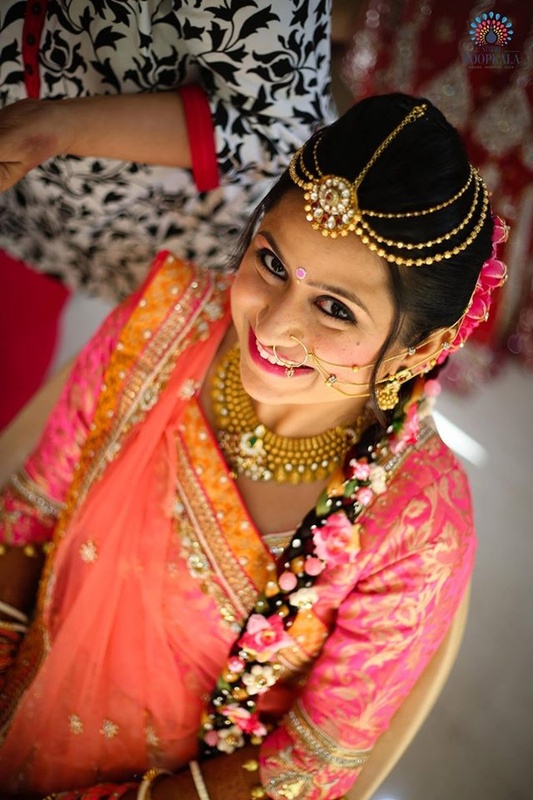 Elegant blush makeup, dainty gold jewellery, and floral jewels gives the bride a Midas Touch! 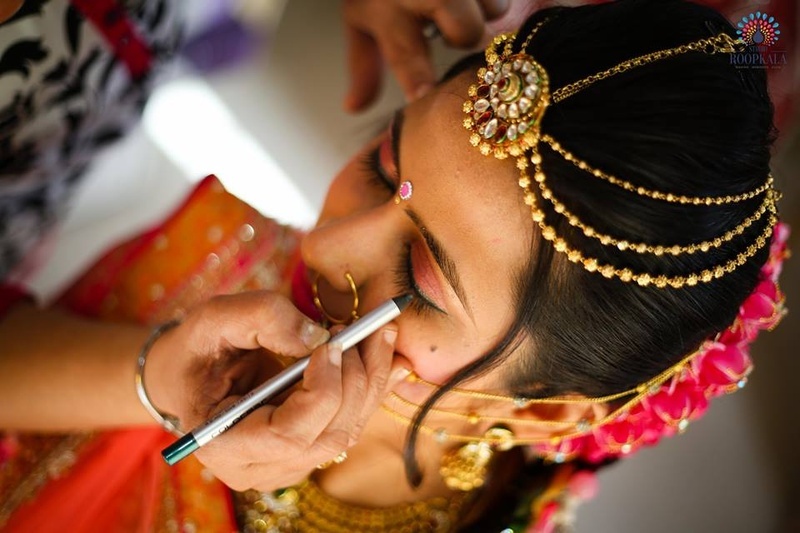 Bride-to-be is getting ready for her Special day! 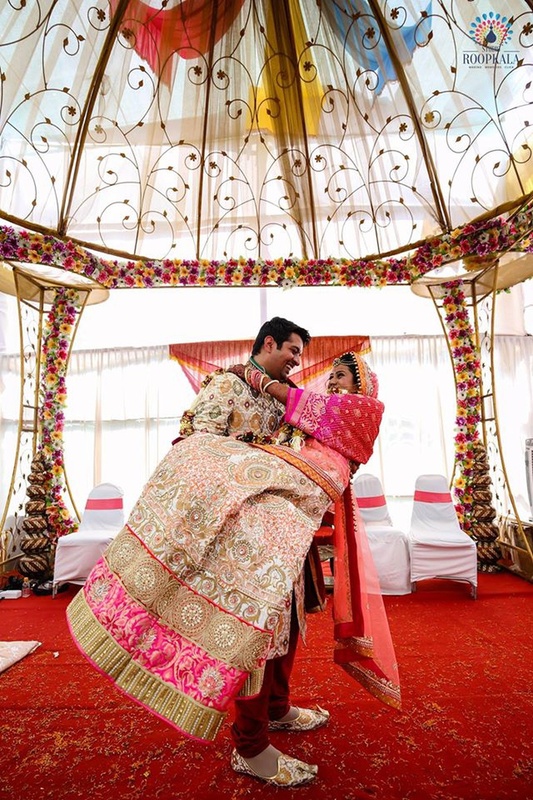 Groom calls her bride a 'Fatakri'!